Aaaaaaand…. 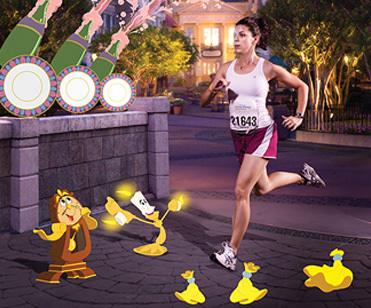 we’re in the final countdown before the Goofy Challenge weekend. Where did the time go? Why have I not been posting? Why have I not been training?? Back in October, Erik and I found out we were (and still are) pregnant. Ah, how that put a new perspective on life. Not a I’m-going-to-be-a-mother perspective. More of a ‘I’m SO TIRED’ perspective. And a ‘What can I eat that won’t make me puke?’ perspective. No where in this new life could I fit in running. Between a 12 hour workday and sleep, I could only think about running, and how I wasn’t doing it. But now? We’re 14 weeks, 2 days. The worst is behind me (I hope). I have my energy back-it’s amazing to be perky again!-and I can once again eat real food. I’m hoping as the days get lighter, my runs will find themselves again. Gotta get fit and strong again for this little one! Meanwhile, I’m gearing up to run/walk the half and full. I’ve researched the heck out of the races and the expo. I’ve planned my costumes (they should be complete this weekend). I’ve got the packing list ready to go. Most of all, I can’t wait to run in one of my favorite places on Earth, with my favorite person on Earth. Erik will be with me for the half, but then he’ll run the full competitively. I’ll post pictures of the costumes as soon as they are done!